Considering Privacy Window Tinting for Your MD, VA or DC Home or Business? There are many benefits to privacy window tinting for your MD, VA or D.C. home or business. Please contact us today to enhance the privacy of your home or office. Interior Guards will help you add privacy window tinting to private spaces while making a bold design statement. You can replicate the premium look of sandblasted glass, create unique patterns, add color, or intricate layered designs – all without sacrificing natural light or aesthetics. Combine colors to create virtually any hue. Overlap patterns to create a signature look. Select a finish to diffuse or focus light, or even block it entirely. No matter what design challenge you face, Interior Guards can deliver an affordable, practical and unique solution – with stunning results. 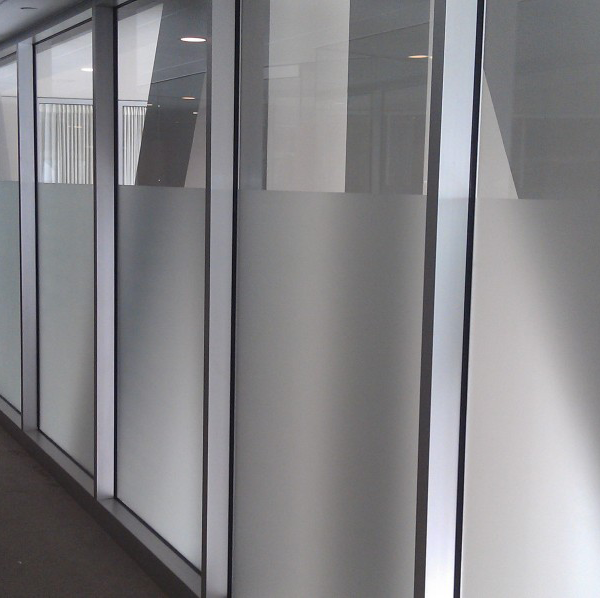 A fraction of the cost of designed or etched glass, Interior Guards can be custom cut to virtually any design, and is often installed in less than a day. It is virtually maintenance free, resists fingerprints, and can be cleaned as you would any other window. As business needs or design tastes change, LLumar film can be easily replaced. Please contact us today to help you install window privacy tint. Take advantage of getting a free window tinting estimate.